"Is having a symptom ever normal?" Unfortunately, we in society have come to think of symptoms and side-effects as a "normal" part of aging. This could not be further from the truth. When you would like to exercise your "birth-right" of being healthy, we are here to help. Diseases of the thyroid gland can result in either production of too much (overactive thyroid disease or hyperthyroidism), too little (underactive thyroid disease or hypothyroidism) thyroid hormone, thyroid nodules, and/or goiter. All types of thyroid problems in women are much more common than thyroid problems in men. Production of thyroid hormones: The process of hormone synthesis begins in a part of the brain called the hypothalamus. The hypothalamus releases thyrotropin-releasing hormone (TRH). The TRH travels through the venous plexus located in the pituitary stalk to the pituitary gland, also in the brain. In response, the pituitary gland then releases thyroid-stimulating hormone (TSH) into the blood. The TSH travels to the thyroid gland and stimulates the thyroid to produce the two thyroid hormones, L-thyroxine (T4) and triiodothyronine (T3). The thyroid gland also needs adequate amounts of dietary iodine to be able to produce T4 and T3. Regulation of thyroid hormone production: To prevent the overproduction or underproduction of thyroid hormones, the pituitary gland can sense how much hormone is in the blood and adjust the production of hormones accordingly. For example, when there is too much thyroid hormone in the blood, TRH and TSH production are both decreased. The sum effect of this is to decrease the amount of TSH released from the pituitary gland and to reduce production of thyroid hormones from the thyroid gland to restore the amount of thyroid hormone in the blood to normal. Defects in these regulatory pathways may result in hypothyroidism (underactive thyroid problem) or hyperthyroidism (overactive thyroid problem). Thyroid goiter: Thyroid goiter is any enlargement of the thyroid that can occur with hyperthyroidism or hypothyroidism but also with benign and malignant (cancerous) nodules. Worldwide, the most common cause of goiter is iodine deficiency. Although it used to be very common in the U.S., it is now less common with the use of iodized salt. Multiple nodules in the thyroid are very common, but only about 5% of the nodules are a thyroid cancer. Thyroid cancer is diagnosed after a thyroid ultrasound exam and a needle aspiration biopsy of the nodule. The only sign of goiter or nodule is an enlargement in the lower part of the front part of the neck. This enlargement is often not painful or bothersome. When the nodule or goiter becomes large, there can be pressure on the surrounding normal structures in the neck including the esophagus (swallowing tube), trachea (breathing tube) and the blood vessels that bring blood to and from the head. A common symptom is feeling a constant pressure in the front of the neck that is worse when the head is tilted down. This pressure on the breathing tube (trachea) may cause a small, dry cough that can be constant and worsens when lying down. The pressure on the swallowing tube (esophagus) may be noticed as difficulty in swallowing large pills or dry food such as bread and rice with the food "getting stuck" in the lower part of the front of the neck. Rarely, this pressure can damage the nerve that controls the voice box, causing hoarseness of the voice. Loss of thyroid tissue: Treatment of hyperthyroidism by radioactive destruction of thyroid tissue or surgical removal of thyroid tissue can result in hypothyroidism. Antithyroid antibodies: These may be present in people who have diabetes, lupus, rheumatoid arthritis, chronic hepatitis, or Sjogren's syndrome. These antibodies may cause decreased production of thyroid hormones. Congenital: Hypothyroidism can be present from birth. This is commonly discovered early with nationwide newborn screening for this disease. Defects in the production of thyroid hormone: Hashimoto's thyroiditis occurs when there are defects in the production of thyroid hormone, resulting in an increased amount of TSH. The increased TSH results in a goiter (enlargement of the thyroid gland itself that can be seen as an obvious swelling in the front of the neck). Grave's disease: This thyroid condition results from abnormal stimulation of the thyroid gland by a material in the blood termed the thyroid stimulating immunoglobulin (TSI). TSI overstimulates the thyroid causing a goiter. It also causes Grave's eye disease, including a "bug-eyed" look and "frightened stare." This can progress to severe eye pain or eye muscle weakness causing tearing and double vision. It also causes raised, thickened skin over the shins or tops of the feet. Toxic multinodular goiter: This occurs when part of the thyroid gland produces thyroid hormones all by itself, without regard to TSH stimulation. It usually occurs in people with a long-standing goiter, usually in the elderly. Toxic multinodular goiter is different from Grave's disease because of the general lack of eye complications and less severe signs of hyperthyroidism. Thyroiditis: This inflammatory disorder of the thyroid gland includes such conditions as de Quervain's thyroiditis or Hashimoto's thyroiditis. In these conditions, you may have periods of increased thyroid hormone release due to the inflammation, causing a hyperthyroid state. As thyroid failure occurs due to the inflammatory response, hypothyroidism may occur. Pituitary adenoma: This tumor of the pituitary gland causes independent TSH production leading to overstimulation of the thyroid gland. Drug-induced hyperthyroidism: This is most commonly caused the heart medication amiodarone (Cordarone). It may be prevented by monitoring this possible side effect and weighing them against the benefits of using this heart medication. Thyroid cancer: There are several types of thyroid cancer. The most common type, papillary thyroid carcinoma, occurs in more than 85% of cases. This type of cancer can be caused by radiation exposure as a child or adolescent, including therapeutic radiation used in the treatment of cancers or in accidents such as the Chernobyl nuclear disaster. As with all medications, side-effects and complications occur. Discussing what to expect and what to look for with your Medical Doctor or Pharmacist is vital before beginning any medication. Understanding the time-frame and the process of getting off the medication, if necessary, as well as the prognosis is vital before beginning any medication regime. Beta-blockers: This class of medication works by blocking many of the body's responses to hyperthyroidism. It decreases tremor, nervousness, and agitation. It also reduces the fast heart rate. Beta blocker tablets are prescribed to a patient with mild to moderate symptoms of hyperthyroidism, and as an IV preparation to the person with the severe form of hyperthyroidism (thyrotoxic crisis). Propylthiouracil: This antithyroid drug works by blocking thyroid hormone synthesis. It takes several months after starting the medication for the full therapeutic effect to be achieved. Common mild side effects include an itchy rash. More rare, serious side effects include a decrease in white blood cell count, which can decrease the ability to fight off infection. Therefore, a high fever should prompt a call to the doctor. This medication can rarely cause liver dysfunction. Methimazole (Tapazole): This antithyroid drug also works by blocking thyroid hormone synthesis. It may take slightly longer than propylthiouracil to achieve its full effect. It has similar side effects as propylthiouracil. Iodide (Lugol's solution, Strong iodine): This medication works by inhibiting the release of thyroid hormone from the over-functioning thyroid gland. It must be used in conjunction with an anti-thyroid drug because the iodine can be used to increase the amount of thyroid hormone produced and worsen the hyperthyroidism. Common side effects include nausea and a metallic taste in the mouth. Radioactive iodine therapy: An endocrinologist or nuclear medicine specialist can treat overactive thyroid conditions with radioactive iodine swallow. This is generally a different type of radioactive iodine than used for diagnostic scans. This treatment takes several months to work by scarring down the thyroid gland, resulting in a smaller- sized gland, often accompanied by hypothyroidism. L-thyroxine (Synthroid, Levoxyl, Levothroid, Unithroid): This medication is the mainstay of thyroid hormone replacement therapy in hypothyroidism. This is a synthetic form of thyroxine. This is exactly the same hormone that the thyroid makes. The body tissues convert it to the active product L-triiodothyronine. Side effects are rare, and it has an excellent safety record. L-triiodothyronine: This is rarely used alone as thyroid hormone replacement, because it has a much shorter persistence in the blood than L-thyroxine. Its use can cause rapid increases in L-triiodothyronine concentration, which can be dangerous in the elderly and in people with cardiac disease. It may be used in combination with L-thyroxine for people who have poor symptomatic relief with L-thyroxine alone. Thyroid extract or "natural" thyroid hormone: This is dried and powdered pig thyroid gland. The hormone is not purified and the exact amount of T4 and T3 can be variable. This is not recommended as a thyroid hormone replacement. There is an excess of T3 in this preparation. If the thyroid function is abnormally high or low, then the treatments are as described above. If the thyroid function is normal with thyroid nodules, there are no good medical treatments to shrink the nodules. Many years ago it was standard of care to give levothyroxine to "shrink" nodules, but it was found after careful research that administration of thyroid hormone rarely shrinks large nodules. An emerging treatment of nontoxic goiters/nodules is radioactive iodine therapy. This therapy is used commonly in Europe and South America but is not yet commonly used in all patients in the United States. This treatment is considered when a patient has a large goiter and there are medical problems that prevent a surgical treatment. Surgery for hyperthyroidism (thyroidectomy), large thyroid nodules, or nontoxic goiters may involve removal of much of the thyroid tissue, leaving some intact to continue to produce thyroid hormone. Risks of this procedure include damage to the nerves that control the vocal cords, damage to the parathyroid glands, which lie just behind the thyroid gland, and bleeding. Hypothyroidism may also occur, but occurs less frequently than with radioactive iodine treatment. Persistent hyperthyroidism may also occur. If so, the entire thyroid gland is removed. In general, in the hands of an experienced surgeon, this is considered an effective and relatively safe procedure. About 70% of patients who retain half of their thyroid gland will continue with normal thyroid function after the surgery. Those patients who have the entire thyroid removed must take thyroid hormone for the rest of their lives. Patients with thyroid cancer will need special treatments and scans with radioactive iodine. Most patients with thyroid cancer are managed by endocrinologists and not oncologists. Anyone diagnosed with Grave's disease should stop smoking immediately because smoking increases the risk of progression to Grave's eye disease. SING!! Singing is the BEST, most natural solution for Thyroid Disease. Discussing the mechanism for why this works with Dr. Huntoon is warranted. Asking your questions and getting true understanding will help you restore balance to your thyroid. Additionally, supplementing with proper thyroid nutrition to feed the gland is vital. 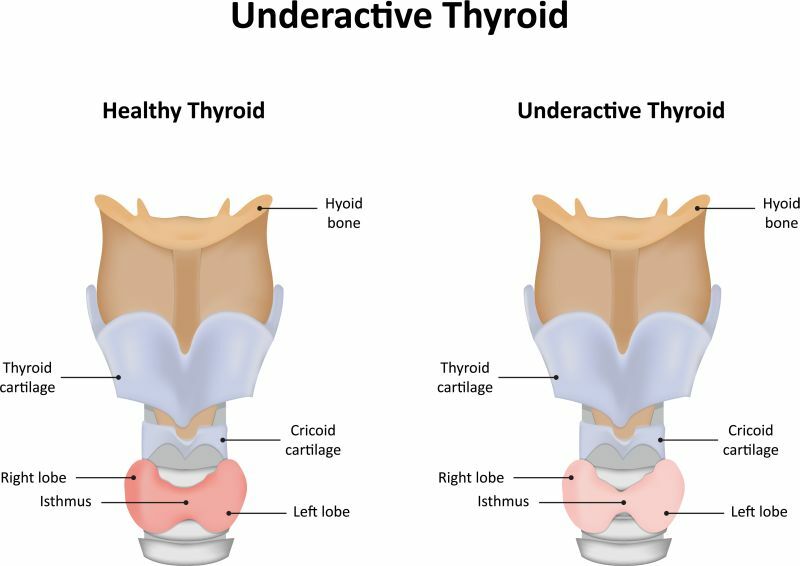 It can be very dangerous to take supplements for your thyroid condition without proper monitoring with a Holistic Chiropractor who is well versed in this form of treatment. Supplements that contain large amounts of iodine, such as seaweed, can make thyroid hormone levels go very high if you have nodular goiter, or very low if you have a history of an autoimmune thyroid condition such as Hashimoto's thyroiditis or Grave's disease. Having this condition is not fun at all. Being motivated to look for non-conventional forms of treatment is warranted. Working with a Holistic Chiropractor does offer specific benefits. Using a well-rounded, multifaceted approach to address all the causes and imbalances within the person and discussing what is involved as well as the time commitment necessary to having a full recovery is necessary. This has demonstrated positive results when sticking to a specific treatment plan. The signs and symptoms of hypothyroidism and hyperthyroidism typically develop slowly over a period of weeks to months. If an individual has prolonged symptoms or signs of either condition, call a doctor to be evaluated. Untreated hypothyroidism may have severe effects on the brain as well as cause intestinal obstruction and inability of the heart to beat effectively. An infection, exposure to cold, trauma, and certain medications may often cause a worsening of hypothyroidism. Seek immediate attention at a hospital's emergency department if you have these signs and symptoms associated with thyroid problems. Severe hyperthyroidism, called thyrotoxic crisis (thyroid storm), may be life-threatening because of the effects it has on the heart and brain. It often occurs in people who are untreated or are receiving inadequate treatment for thyroid problems. A severe infection can also cause a thyrotoxic crisis. The medical history and physical exam are important parts of the evaluation for thyroid problems. The health care practitioner will focus on eye, skin, cardiac (heart), and neurologic findings. Thyroid-stimulating hormone (TSH): In most cases, this is the single most useful lab test in diagnosing thyroid disease. When there is an excess of thyroid hormone in the blood, as in hyperthyroidism, the TSH is low. When there is too little thyroid hormone, as in hypothyroidism, the TSH is high. Free (T4): T4 is one of the thyroid hormones. High T4 may indicate hyperthyroidism. Low T4 may indicate hypothyroidism. Triiodothyronine (T3): T3 is another one of the thyroid hormones. High T3 may indicate hyperthyroidism. Low T3 may indicate hypothyroidism. TSH receptor antibody (TSI): This antibody is present in Grave's disease. Reverse T3 (RT3): This is "Tissue Resistance to Thyroid Hormone." Antithyroid antibody: This antibody is present in Hashimoto's and Grave's disease. Nuclear thyroid scan: During this scan a small amount of radioactive iodine is swallowed or a similar material 99m-technetium, is injected into the blood, and then an imaging study of the thyroid is taken that reveals localization of the radioactivity. Increased uptake of the radioactive material in the thyroid gland indicates hyperthyroidism, while decreased uptake is present in hypothyroidism. This test should not be performed on women who are pregnant. Thyroid ultrasound: Thyroid ultrasound helps to determine the size and number as well as the different types of nodules in the thyroid gland. This exam can also detect if there are enlarged parathyroid glands or lymph nodes near the thyroid gland. Fine-needle aspiration: During this procedure, a small needle is inserted into the thyroid gland in order to get a sample of thyroid tissue, usually from a nodule. This test can be done in a health care practitioner's office without special preparations. The tissue is then observed under a microscope by a pathologist to look for any signs of cancer. Computerized axial tomography (CT) scan: A CT scan is occasionally used to look for the extent of a large goiter into the upper chest or to look for narrowing or displacement of the trachea (breathing tube) from the goiter. Sing! Sing anything that helps you release your trapped emotion within your throat chakra that is contributing to your thyroid condition. By singing songs that cause you to feel and release trapped emotion, this will free up the energy within your thyroid and help the thyroid tissue go back to normal. Begin expressing how you feel, regardless of how it makes others feel. This will help you even if they do not like what you are saying. Expressing your truth is your birth-right. And you are not responsible for how others feel about what you are expressing. There is no known way to prevent hyperthyroidism or hypothyroidism from a Medical perspective. In the United States, iodine deficiency is quite common and you should be checked to see if you have an iodine deficiency. This is a simple test that requires the application a 2 inch square of iodine solution on your forearm and see how long it takes to disappear. It should take roughly 24 hours for the square to be totally gone. If it takes less than 24 hours for the square to totally disappear, you have an iodine deficiency. Work closely with your Holistic Chiropractor to begin taking an iodine supplement. Your Holistic Chiropractor, who is well versed in this form of treatment, can help to monitor your progress. By helping you to understand what to look for while being treated, whether it is potential side-effects or improvement is important. Starting iodine supplementation without proper supervision is not recommended as the possible side-effects without proper supervision can be serious. Dr. Huntoon has quite the success in helping people deal with this very common condition. And the simplicity of the solution has fascinated the people with the concern and baffled the medical doctor seeing the results. Being able to address the underlying trapped energy has helped people come off their medication, or certainly reduce the amount that was being prescribed. Working in tandem with your Medical Doctor is important for your overall health and proper monitoring of your progress. When working with a Holistic Chiropractor who is well versed in all the causes of Thyroid Disease, being able to keep your thyroid and not to have to be on medication for the rest of your life is possible. Discussing your concerns, expectations and time commitment for your specific thyroid condition is warranted.